You can never go wrong with the right pair of jeans. Whether distressed, boyfriend style or skinny and cropped, the best ones make you feel YOUR best. 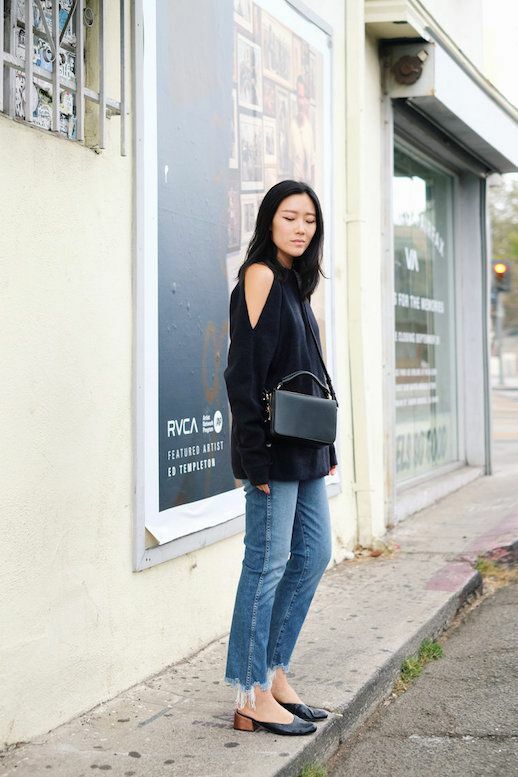 This bloggers raw hem pair do just the trick for an easy, breezy day. Pair it with a double cold-shoulder sweater and heeled mules to perfect the look.